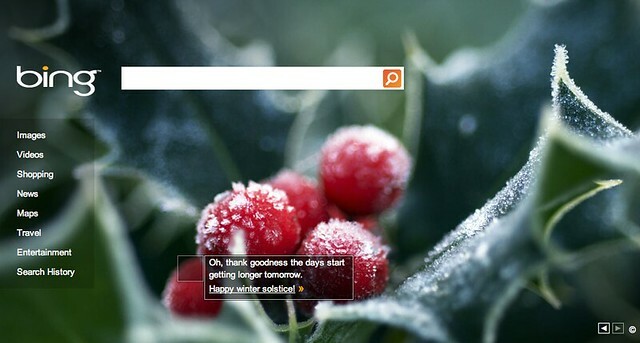 Today is the first day of Winter and some of the search engines have special logos and themes up for the day. Bing has a nice crisp refreshing theme up, Yahoo has a nice animated logo and Dogpile is having a snowball fight between a dog and a cat. But Google is logo free today. It is not like Google to not have a logo on the first day of Winter, which normally kicks of their holiday season logos, but I guess they have something else planned. 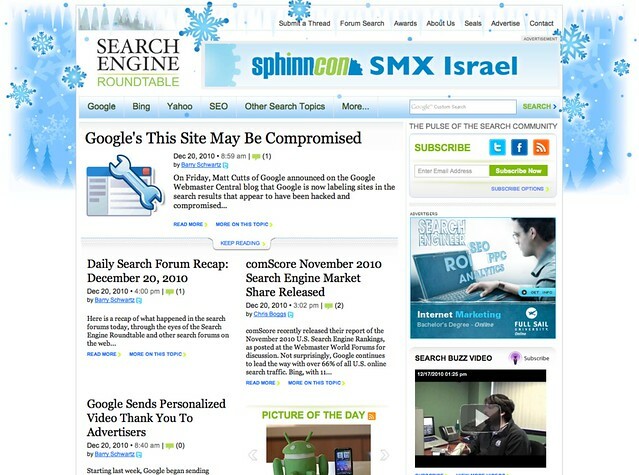 Here are the logos and themes from Yahoo, Bing, Dogpile and us at the Search Engine Roundtable. Forum discussion at Google Web Search Help & Search Engine Roundtable Forums.